Branding and brand strategy is the #1 commandment on our list of the Top Ten Marketing Commandments, and social media plays a major role in this. While you may not get your next big case, client, or patient through Twitter or Facebook, you can be certain that the people paying attention to you on social media will start to form opinions of your business. It’s up to you to make sure they are forming positive opinions. Promoting your content through social media can force Google to pay attention to you. Google can see how many views your website and content are getting. If you share your content on social media, you are likely to get those views, which can lead to higher page ranking. And do I really need to remind you that your content establishes your expertise? Even more reason to promote it on social media! The first step is to determine the tone of your business page. Of course you want to be professional, but don’t be afraid to be personable! Most users are on social media to get updates on their friends and family, check out trending topics and news that is relevant to them, and to be entertained. Don’t scare them away—show them your office atmosphere, share personal milestones, and encourage feedback. The best way to decide on your tone is to put yourself in your audience’s shoes. What does your audience know about you? 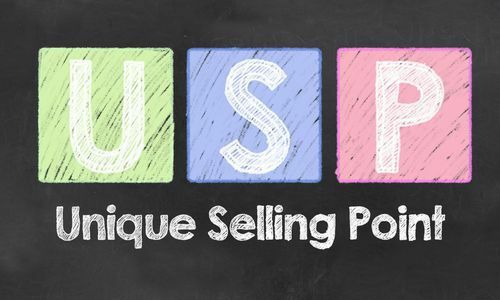 Your brand should have a unique selling point (USP). Use social media to emphasize your USP in order to set your business apart from others. One of our clients, Hupy and Abraham, specializes in motorcycle accidents. They are very active in the community and events, and they share this on Facebook frequently, which creates excellent engagement. They are known as “the motorcycle guys,” which sets them apart from other attorneys in their area. What do they care about? While this varies from person to person, there are things that the majority of your audience will agree upon. In general, people interact with images, humorous posts, and emotionally touching stories. Remain authentic to your brand and services while adopting the appropriate tone for your message. For example, our Founder and CEO, Tom Foster, just announced his daughter’s engagement. We shared this on the Foster Web Marketing business page because many clients speak with Tom, and have developed a connection with our Foster Web Marketing family. Almost everyone can relate to the excitement of a new engagement in their own family, and our audience has a relationship with Tom. Would your audience find your post worth sharing? This is the most critical question to ask yourself. If you would not take the time to comment on, like, or share a similar post, chances are your audience wouldn’t either. Once you understand how you want to present your organizational culture, set your goals, and build your plan of action. Get to Work Executing Your Strategy! Of course goals may differ from person to person, but no matter what you ultimately want to gain (brand recognition, more leads, etc. ), everyone can benefit from a wider audience and more engagement. Build Your Audience: If you haven’t already, take the time to invite your Facebook friends to “like” your business page. Follow people in your field on Twitter, connect with other attorneys, doctors, or small business owners on LinkedIn, and join relevant communities on Google+. Engage With Other Businesses: There is a reciprocal nature to social media. If you are active and involved with other pages, people will notice and become involved with your page. Of course you want to promote your own content, but if you see an excellent article on another businesses page, share it! Don’t be selfish. Social media is a two-way street and the more you give, the more you get. Increase Engagement With Your Own Business Page: The more engagement your posts receive, the wider their reach. A post that receives multiple comments, likes, and shares can end up in the news feed of someone who doesn’t already like your page! Check out these four tips for increasing engagement. Establish Yourself as a Thought Leader: Although it’s the most difficult challenge listed here, establishing yourself as a thought leader will be endlessly beneficial. Social media gives you a place to post your high quality, well-written, and authoritative content, but it also gives you the chance to answer questions and share knowledge in an organic matter. Specifically, Google+ communities and LinkedIn groups offer this opportunity, and if you use them the right way, they can boost your social and professional standing. Don't waste your time if it isn't working. Review metrics and analytics quarterly to see if your social media strategy is bringing you the engagement you hoped for. Through Google Analytics you can see exactly how much traffic you are getting from social media, and you can review your level of engagement through Facebook insights. Social media is a great marketing tool, but above all, it is a place to be social. If you remember that your audience is here for that reason, you can keep them engaged and interested! 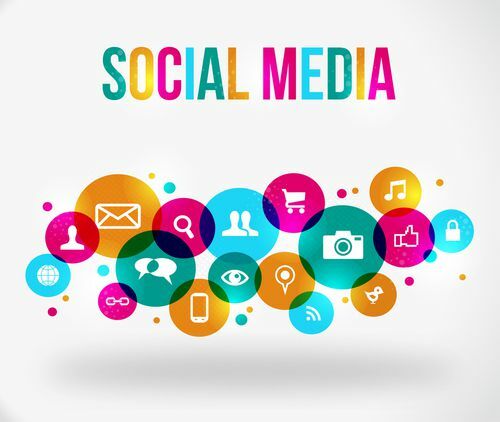 If you want help building your social media strategy or wading through the social media waters, give us a call at 888-886-0939, or fill out the contact form on this page.